When we became vegan, we figured one of the things we would miss is cheese in cooking. Interestingly, we find we now cook dishes which allow the vegetables to be the hero, providing more than enough flavour and texture without needing a "cheese replacement". But sometimes, the vegetarian members of our family are looking for a cheese flavour, and that's where these delicious nut "cheddar type" cheeses come into their own. And one type of cheese that we all agree on are the soft style nut cheeses - the kind served with rustic bread before a dinner party, or with linseed crackers and a simple soup for Sunday night supper. These are some of our current favourite go-to recipes for vegan cheeses. We have had great success making this recipe - and have served it at dinner parties where guests have happily scooped it all up. 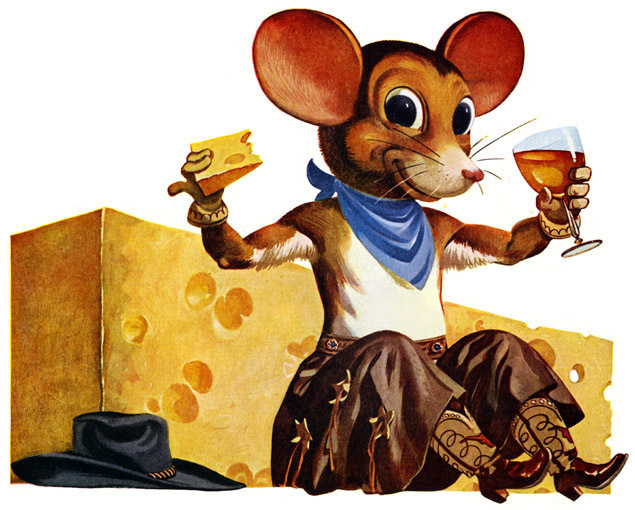 We reckon this debonair mouse, from a 1949 ad for Petri Wine, would prefer nut cheese over dairy cheese too - just like us.